Winter/Spring Newsletter Hot Off The Press! Catch up with all of the latest information at High Horses. Musings from our 2015 Volunteer of the Year, Richard Sachs. Learn how High Horses is leading the therapeutic industry in using GAS goals to rate our riders and collect data on their progress each session. 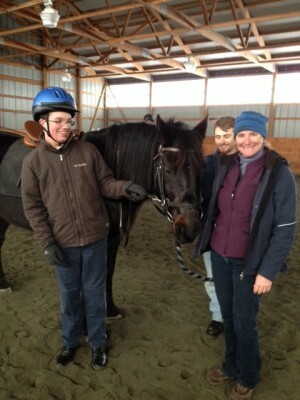 And how High Horses has collaborated with other New England therapeutic riding facilities to implement GAS goals to corroborate to a wider degree if progress is being made in therapeutic lessons. Learn how the great race horse Secretariat inspires one of our riders… and so much more! Your Vote Counts! Help High Horses Win a Horse!